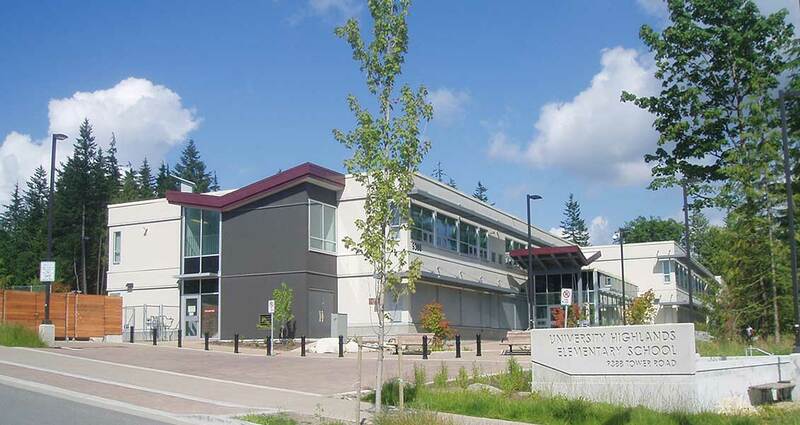 University Highlands Elementary is the conversion of an existing academic and office building, on the main campus of Simon Fraser University, into a 40K/275 student elementary school. The successful completion of this project hinged on several factors; in addition to finding the right solution for our client, we were faced with the challenges of a difficult site location and tight timelines. 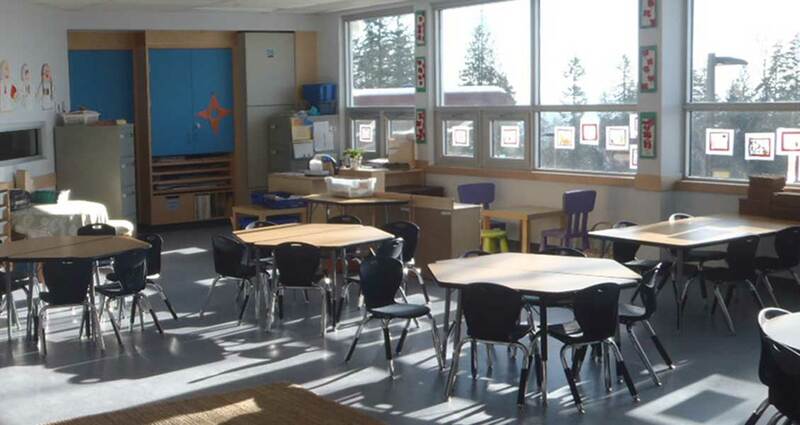 thinkspace worked closely with all stakeholders including the Ministry of Education, the SFU community, the Burnaby School District and the Ministry of Environment, to design a school that both serves and enhances life in the Simon Fraser University community. This collaborative team worked closely together throughout the process to ensure that the community needs were met and the environmental considerations were factored into every decision. 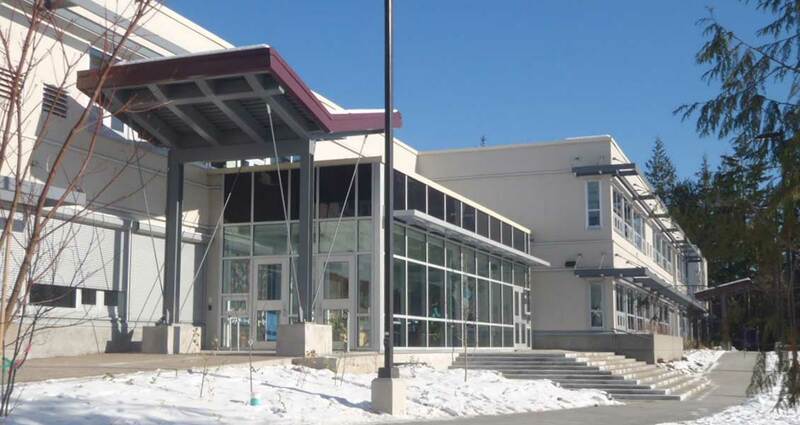 University Highlands Elementary was a complex project with multiple agendas. We transformed an existing space into a facility that delivers exceptional educational services, is a cornerstone of the community and has achieved LEED® Gold Certification. The finished product is a school that provides joint community use areas including: a dance studio/multi-purpose room, an office and storage, meeting rooms, a gathering space with kitchen, and a gym. Daylight harvesting from skylights, clerestories, and windows.